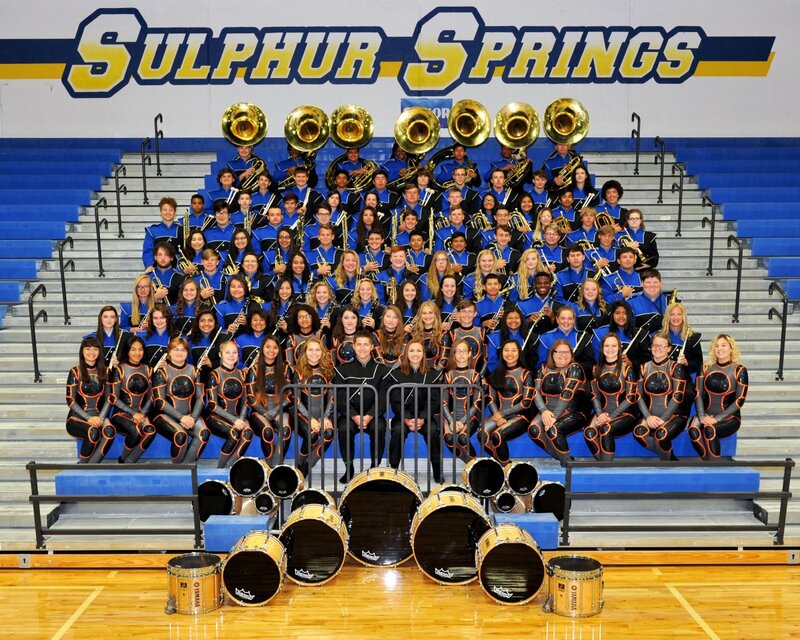 Wildcats Band Director Spencer Emmert said the Wildcats Marching Band’s performance was fantastic at the UIL Regional Marching Competition held at the Sulphur Springs Multipurpose Building field Tuesday (October 16). The event was moved indoors due to rain. Emmert said the band’s performance was also their best of the year, which is what he wanted to see. He was pleased that each judge gave the Wildcats Marching Band a highest score of 1. Emmert said the judges’ critiques were full of compliments. He said band officials turned to Sulphur Springs as an alternative host for the event because it has perhaps the largest indoor facility in the entire region. Emmert said when the decision was made Monday for Sulphur Springs to host, he said staff and students jumped into action working on logistics. Band parents also helped out. 26 bands attended the contest. Required were two warm areas out of the rain, parking had to be handled and lots of equipment and props had to be moved in and out in a timely manner. A hospitality area was also set up. Emmert said it was a big undertaking but he added everything went well. He thanked Athletic Director Greg Owens and Superintendent Michael Lamb. This is a year where bands do not advance beyond regional competition. Emmert said he is treating a final contest Saturday (October 20) as if it was an advancement. Weather permitting, the Wildcats Marching Band will play at Prairieland in preliminaries at 3:45 p.m. Saturday. Emmert hopes the band will also have a performance in evening finals.